The British Universities' International Liaison Association (BUILA) is a UK-wide, membership-led organisation supporting the work and professional interests of staff working in international recruitment and liaison at UK higher educational institutions. Our Association currently has a membership of 137 UK higher education institutions and there are over 1,600 international recruitment and promotion professionals working at those institutions who utilise the BUILA discussion forum and website. BUILA’s activities are managed and co-ordinated by a small Executive Committee, elected by the membership, all of whom undertake their work on a voluntary basis. The BUILA Executive Committee, actively liaises and lobbies with government bodies such as the Home Office and the Department for Business, Innovation & Skills on our members behalf and works closely with other organisations who share our interests, such as the UK council for International Student Affairs (UKCISA) and Universities UK, to support the interests and work of our membership and the UK HE sector as a whole in their international education activities. A sector that contributes over £14 Billion p.a. to the UK economy. BUILA supports the professional and personal development of our members’ staff through the provision of a wide-ranging training programme, Directors’ Policy Forums, which provide an opportunity for more senior practitioners for Directors to meet, discuss and influence the current international HE agenda, and the highlight of our calendar year, which is our extremely popular Annual Conference. 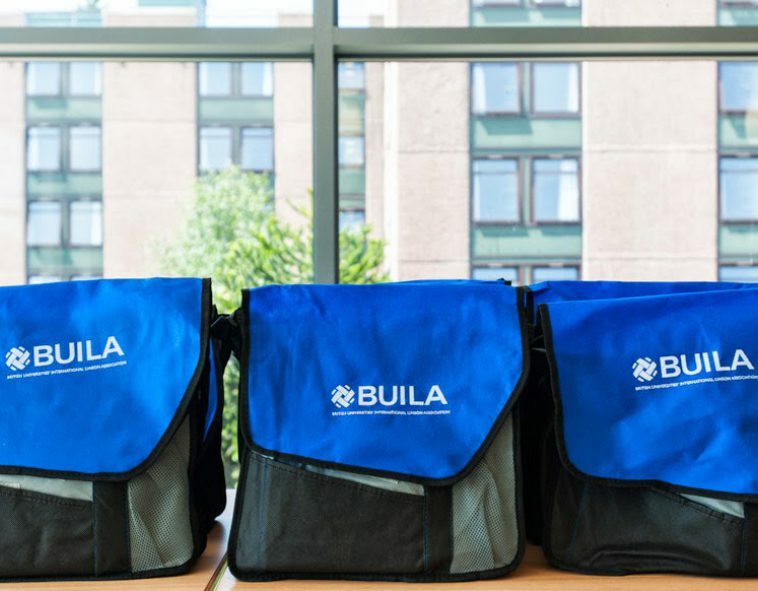 Want to speak to someone about a specific aspect of BUILA's activities? Want to Join us at BUILA? To qualify for membership your institution needs to be a member of UUK, Universities Scotland or a full Guild HE member. The current subscription is just £650 per annum. On payment of your subscription, your staff are given access to the members area of the website and to a mailbase of over 1,600 members, once authorised by your chosen principal contact (named representative). Members are also entitled to attend the Annual Conference, and to take advantage of the training programme for international staff BUILA runs though out the year, as well as the Directors’ Policy Forum. If you are a member of staff at an institution that is already a member and you would like to be added to the membership so you can access the members area, please complete this form. Your named representative will then be contacted to authorise your user request.